The days of heavy, hard to manage electric carving knives are long gone. These knives are now making a comeback as practical and easy to use utensils. 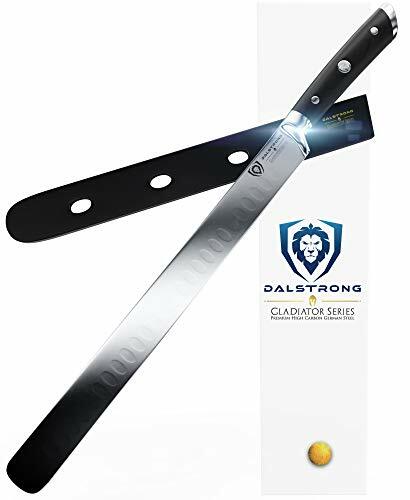 Not only will an electric carving knife neatly slice through a roast but can easily slice through other foods items such as French or homemade bread with a thick crust. 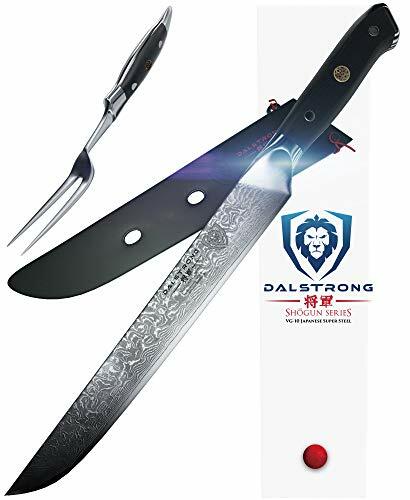 Electric carving knives have two serrated blades which can cut through all kinds of foods. The two identical serrated blades work by moving rapidly in opposing directions. 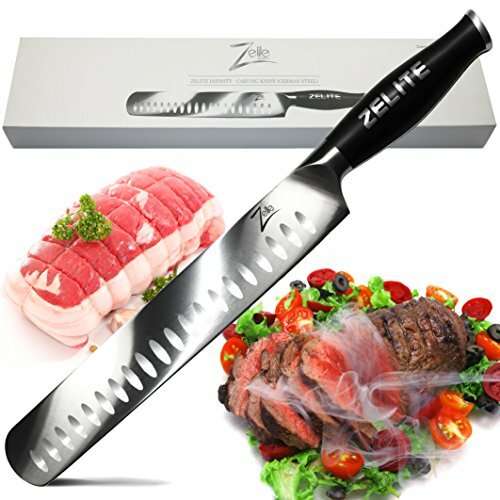 When the knife is turned on it creates a sawing motion that creates a steady cutting action. Most knives can cut in various thicknesses. If you think that electric carving knives are only for holiday turkeys or roasts, think again. You can easily purchase a turkey, ham or roast beef on sale, slice it with an electric carving knife, and use as sandwich meat. And with the high cost of deli meats, it makes good sense to slice your own. You can easily get year round use with an electric carving knife. 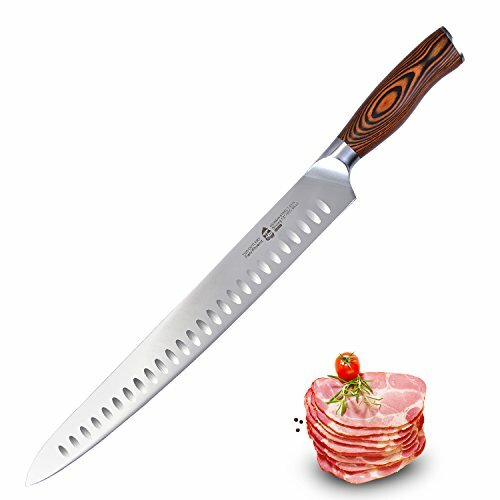 According to Cuisine at Home, this knife cuts the thinnest slice of turkey or roast beef of other knives tested. It also cut cleanly through a loaf of French bread. 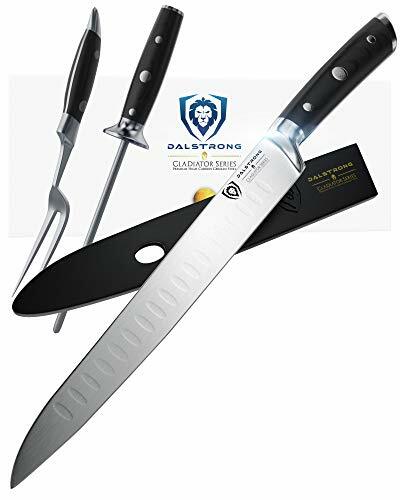 It is a little noisier than the other knives reviewed, but it comes with own storage case and includes a serving fork. This carving knife features a nice weight balanced by a handy grip. It cleans up nicely and is suitable for everyday use. The motor housing is rounded at the bottom of the knife, so when it is placed on the counter it rolls sideways. It is reasonably priced and comes with a serving fork. 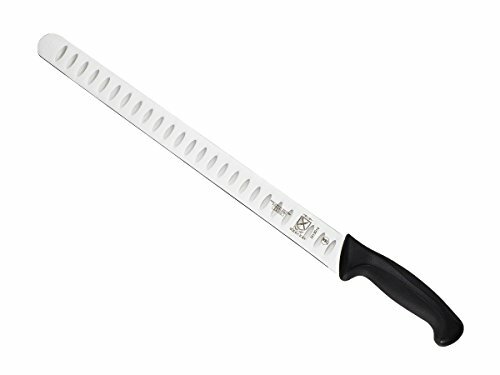 Not only does this knife do an excellent job at cutting through roast, it also is great for frosting a cake! This carving knife has a very quiet motor. The knife is cordless and comes with a rechargeable battery and a charging stand. It also comes with an extra blade with a rounded tip and a food fork. 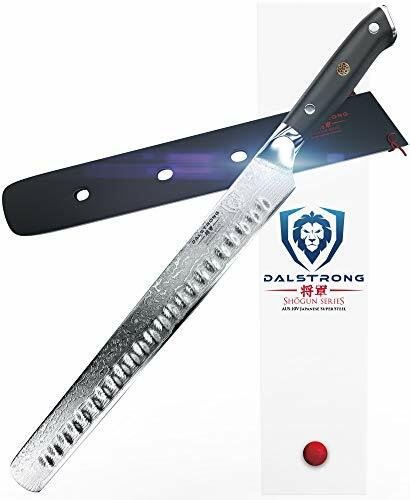 Although the overall knife quality is good, this product is not as powerful as the other knives reviewed because it is battery powered. 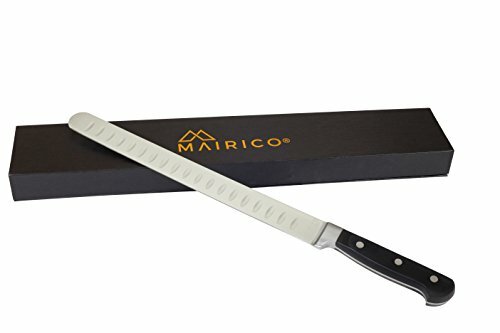 This carving knife features an extra-long cord which provides maximum maneuverability. 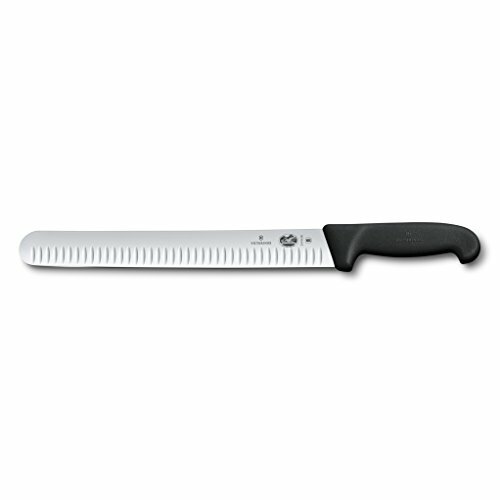 The knife also comes with a wide bread blade that slices easily through homemade loaves. 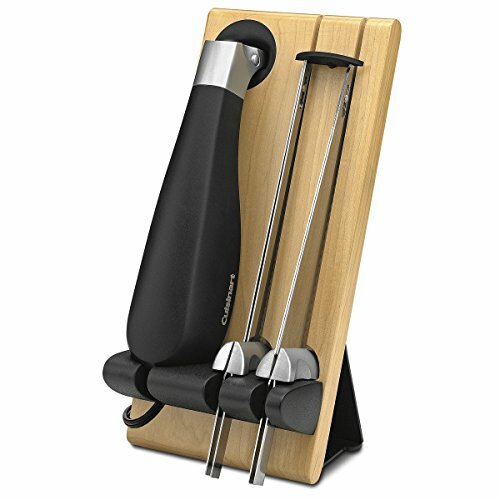 It also comes with a butcher block storage stand and a knife handle that is similar in feel to a traditional chef’s knife. This is a reasonably priced electric carving knife that comes with a fork and handy storage case. It is easy to disassemble and clean. The knife has a nonslip trigger and easily carves meats and slices homemade and crusty French breads.